JVonD takes a ride to Flagstaff Mountain and hangs out with some cool local climbers. Also see footage from an interview with Fred Knapp and scenes from a Flatiron free-solo. 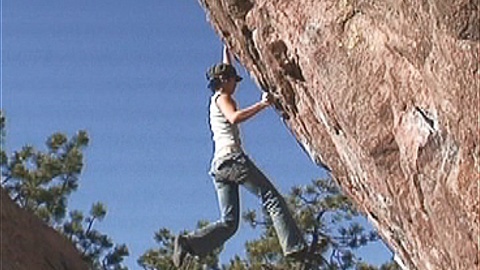 This entry was posted by JVonD on February 21, 2007 at 4:20 pm, and is filed under Bouldering, Business, Climbing, Fashion, Flatirons, Interview. Follow any responses to this post through RSS 2.0. Both comments and pings are currently closed.